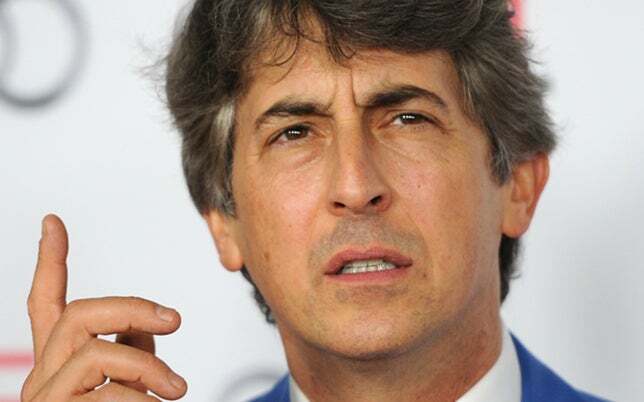 Golden Globe nominee for Best Director, Alexander Payne (52), was born in the American heartland, Omaha, Nebraska, into a family of Greek immigrants (originally Papadopoulos). His work as an American director has been marked by those competing influences, the all-American small-town environment where he’s set several of his movies, including his current, Nebraska, and his European heritage that informs his intense interest in European culture. Payne sees a sense of humor as the common element in the two cultures. He told the Hollywood Foreign Press in an exclusive interview: "I am a Greek from Nebraska ... The older I get, the more I see that you have to have a sense of humor to tell dramatic stories ... I am with people in Nebraska and it's about telling jokes and having a delightful time, and then I am in Greece, with my family and friends, and it is constant laughing, constant humor, saying the most silly things with a straight face but with a little smile in the eyes." Payne has written and directed six feature films since he launched his career with Citizen Ruth (1996) which tackled the all-consuming issue of abortion in America. The pregnant woman of the title role, played, coincidentally, by Laura Dern, the daughter of Nebraska's star, Bruce Dern, is caught between the so-called pro-choice and pro-life camps, in a tale mixing drama and dark humor, Payne's trademark. Next came Election (1999), examining politics and education in America through the story of an ambitious student (Reese Witherspoon - Golden Globe nominee for Best Actress, Musical or Comedy for the role of Tracy Flick) running for student body president in a suburban high school, set near Payne's hometown of Omaha. About Schmidt (2002) earned Payne a Golden Globe for best screenplay. It featured Jack Nicholson in the title role, a crotchety retiree on a road trip from his hometown of ... Omaha, Nebraska, to attend the wedding of his only daughter. Payne will return again and again to the device of a road-trip as a way for his characters to find themselves. A second screenwriting Golden Globe (and an Oscar, too) came in 2004 for Sideways, a movie about another road trip, this time taken by two buddies in the wine country of California. It also earned Payne a Golden Globe for Best Motion Picture - Musical or Comedy. There was a seven-year hiatus before Payne returned with The Descendants (2011), this time set in Hawaii, and starring George Clooney as the father and husband of a conflicted family. It earned a Best Picture - Drama Golden Globe for Payne, and a Best Actor - Drama for Clooney. From Hawaii, Payne returns again to Nebraska with this eponymous dramedy, starring veteran character actor Bruce Dern, the first time that Payne worked from an adapted screenplay. Dern's character, slightly addled with age, thinks he won a million dollar prize, and the movie chronicles the trip he undertakes with his son (Will Forte), to redeem the non-existent pot of gold. He will instead gain insight about his life and revive long forgotten memories and friendships. Alexander Payne, who cites Lina Wertmuller, Pasolini and Buñuel among his inspirations, is indeed that rare combination - an American director with European sensibilities. "I have been trying to have a European director's career in America,” he said. "It's true: I am not European. I am an American. I parachuted into America when I was born, and I am proud to be an American filmmaker ... We want French movies about French people, and we want Slovak movies about Slovak people, and I want American films about American people." His latest, Nebraska, fills that bill.